Heart Umbrella Silver - UV proof heart shaped umbrella - 1000+ umbrellas! Please note: regrettably the Silver Heart umbrella is no longer available. 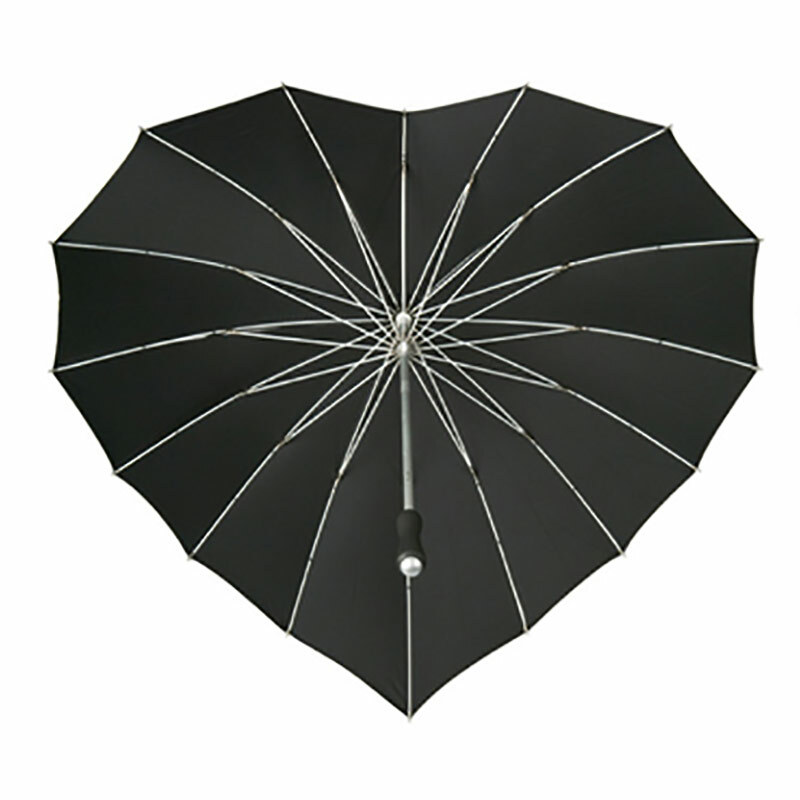 If you’d like to take a look at our other Heart Umbrellas! 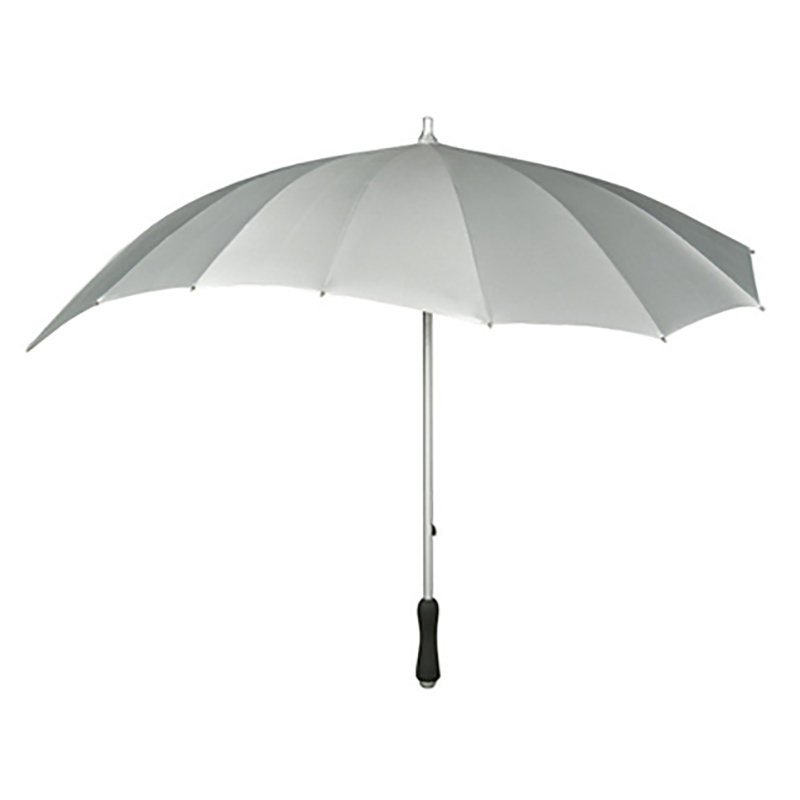 Click and take a look at our other UV protective sun umbrellas. How about fantastic UV Protection with style? 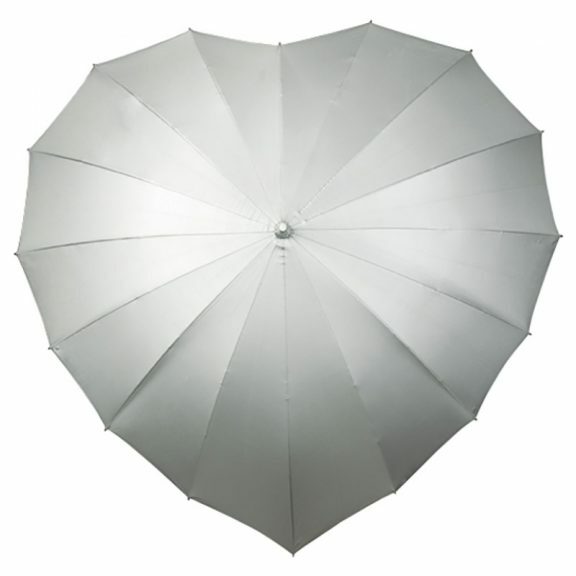 Take a look at the unique Silver Heart Umbrella. The Heart shaped umbrella canopy has a special coating on the outside that gives extra UV protection against the suns harmful rays. 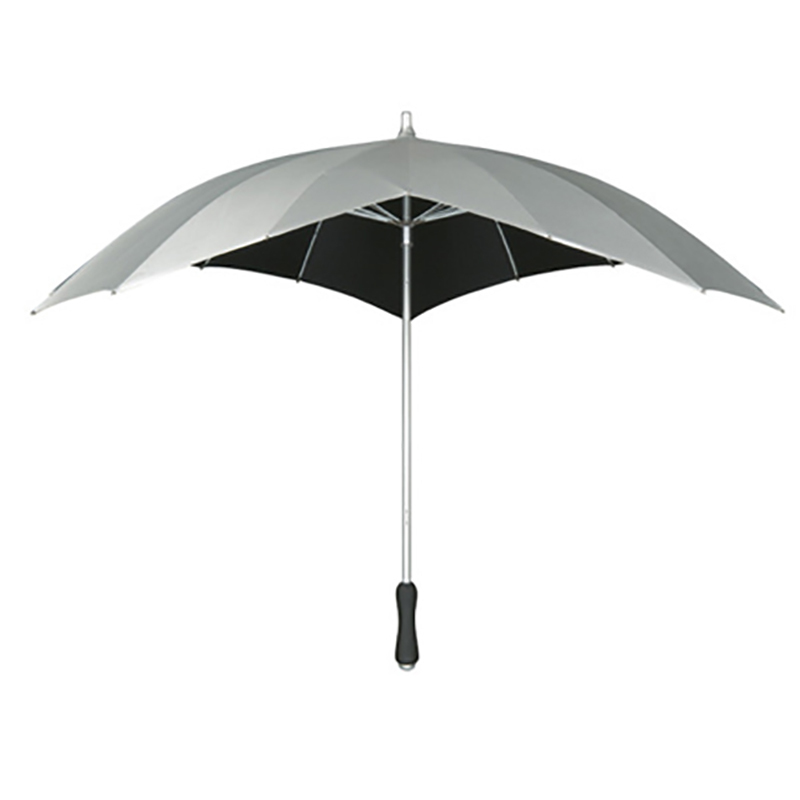 The black inner canopy reduces ground reflections, ensuring the very best protection. They are approximately 78cm from top to tip and have a very strong, but lightweight, 16 spoke fibreglass frame and smart aluminium shaft with matching tip. This very fashionable Heart Umbrella has a smooth, ergonomically designed black rubber handle for comfort. Style, quality and good looks in one unique package. Umbrella weight 560g.